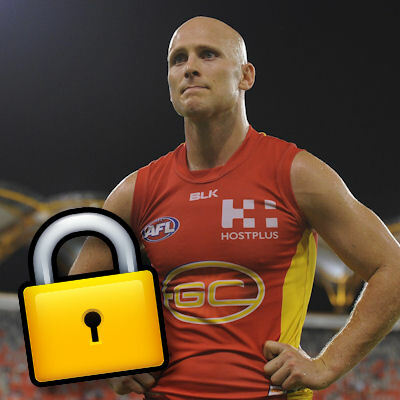 Ablett posted his fifth score under 100 this weekend. Do we trade? Discuss round 7 in the comments. Duds: Biggs, McGovern, Wells, Rocky. Vent/Brag/Whatever: Can’t believe I’m trading Rocky out yet again. Still managed to increase my rank +4557, so could have been worse. Studs: Buddy (C), Wags, Brown, Zaha, Viney, Hanners, Titch, Dahlhaus, Pap, Kerridge, Jelwood. Vent/Brag/Whatever: got $264k, so Marcus Adams -> Bartel, Wells -> Dusty looks the way to go. But only if Wells is out I will trade him. Any other trade thoughts if Wells isn’t named? Also 1066 overall so not to bad…. Got 2010. Would love to trade out Gazza, but there are 8 or 10 other players in the queue ahead of him. Escaped the injury crisis, except for Wells. Will probably trade out Menadue & Sam Gray for James Kelly and Macpherson. Others in the queue include Davis, Hartley, DeGoey, M Crouch, Harwood, Barlow & Ablett. Team motto: So many turkeys, so few trades. Trades: Adams to Petracca, rocky to Tom Mitchell or Saint Nick? Played Isaac Heeneys team in one of my leagues & he scored 2249!!! On the Chopping Block: Very good question. Rocky yes, then…? Vent/Brag/Whatever: drifted 800 places out to 1900. Must have been pretty crap all round, except for the Heenster.